Something to look forward to: A classic Mario game is being made into a mobile app so that all of the fun can be had on modern devices. Action-puzzle game Dr. Mario World will debut in summer 2019. Originally launched in 1990 for the NES, Dr. Mario is a game that somewhat resembles Tetris. Instead of forming complete rows, colored pills are stacked around viruses to try and wipe them out. 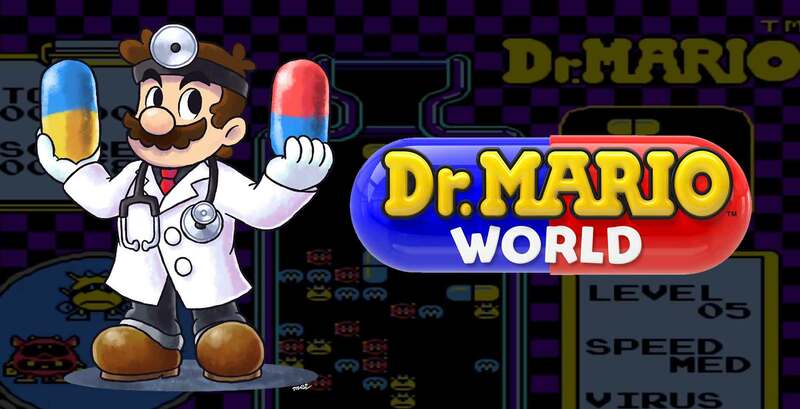 Nintendo has shared that Dr. Mario World is an upcoming mobile app that should be ready for summer 2019. Development is under way by Nintendo and LINE, with support from NHN Entertainment. The app will be free to download, but will contain in-app purchases. At launch, approximately 60 countries will be supported on iOS and Android. For those that have played the original game, getting to the maximum of level 20 is not all that difficult. Viruses fill up nearly all of the screen and a mistake at the beginning of a round is deadly, but the challenge is still limited, making single-player mode not all that exciting after a few hours. Although Nintendo has not disclosed what features will be making it into the mobile app, multiplayer games are a must-have feature. Battling head to head and racing to clear all of the viruses is the best part of the game. Building up elaborate combinations of capsules and clearing multiple sets of pieces with one new pill causes unwanted pieces to fall into an opponents vial of viruses, offering a means of slowing down the other player.